The F-5500 Series Solid State Pressure Switch is an immediate interface with robust state circuits. The switch is flexible from 0.5 to 100 PSI with a greatest indicator weight of 100 PSI. The robust state switch joins together accuracy mechanical switch working accommodation with strong state unwavering quality, it utilizes the Hall sensor. A coordinated circuit, incited by a magnet spotted in the working plunger, creates an advanced output. The supply voltage is 4.5 - 24 VDC. A terminal casing might be accommodated utilization with AMP 102241-1 terminals. 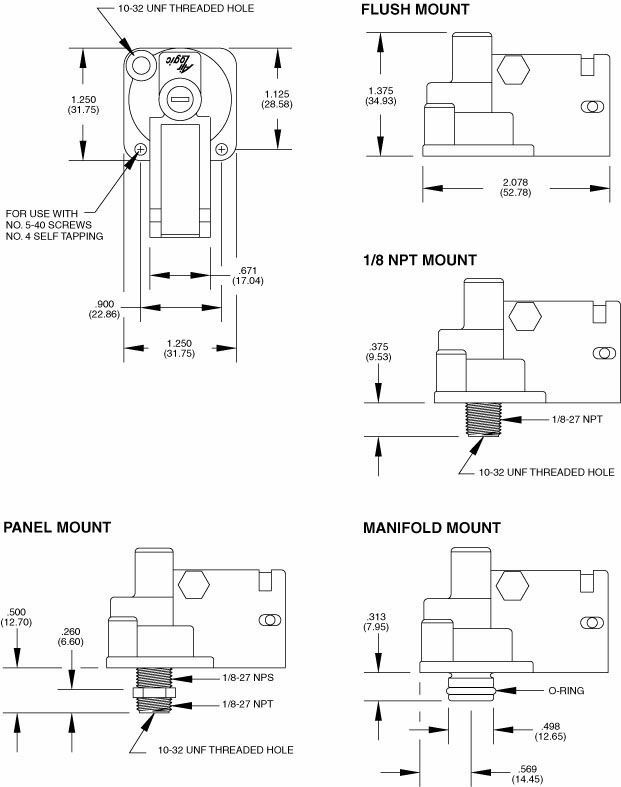 It has a 4 mounting styles are accessible, the flush mount, manifold ,mount, panel mount, and Pipe Thread Mount. The Flush Mount has .125" breadth mounting gaps for mounting on a level surface.